The location is fantastic! 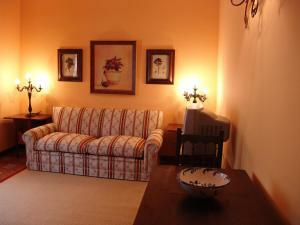 The apartments are nicely decorated and have a very comfortable bed. Apt no 2 and 4 are the most beautiful ones. Very beautiful traditionnal apartment providing all the confort you need. 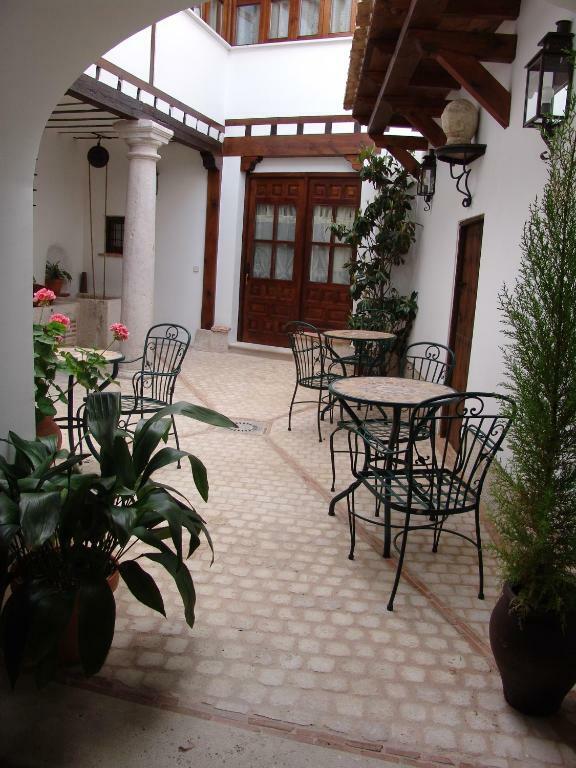 Breakfast outside in the sun was really enjoyable, we would definitely recommend this place for anyone looking for accommodation in Chinchon. 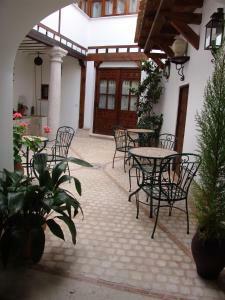 Fantastic village and views from the church, abundance of restaurants on the square, authentic Spanish village. Great historical feel and character tot he place. An old large house with inner court parcelled into apartments it seems. 3 seconds of town center. Very charming place. Lo que más nos gustó fue el alojamiento en sí, muy bien equipado, limpio, una cama grande y cómoda, muy bonita. El patio nos resultó muy agradable y aprovechamos para tomar un par de copas de vino que compramos para la cena. Además la ubicación es casi insuperable. El apartamento tiene el mismo encanto que el pueblo. Están totalmente adaptados al entorno pero con las comodidades necesarias. A demás del encanto, creo que hay que destacar que el sofá cama tiene un colchon común, muy cómodo, algo difícil de encontrar. Me gusto la comodidad, amplitud,limpieza y ubicación. La tranquilidad. Aunque esta prácticamente en la plaza no se oía ruido alguno así que fantástico. Lock in a great price for Apartamentos La Columna – rated 8.9 by recent guests! Located in Chinchón, Apartamentos La Columna provides accommodations with a flat-screen TV and a kitchen. 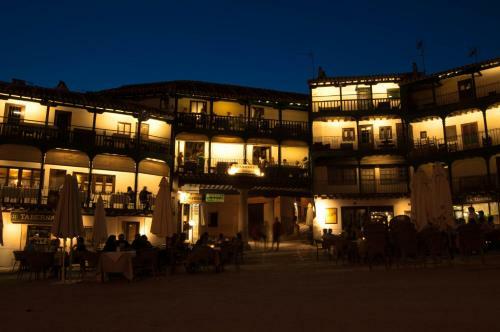 Popular points of interest near Apartamentos La Columna include Plaza Mayor Chinchon, Asuncion's Church and Chinchon´s Castle. 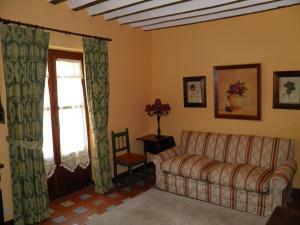 The nearest airport is Adolfo Suarez Madrid-Barajas Airport, 33 miles from the property. 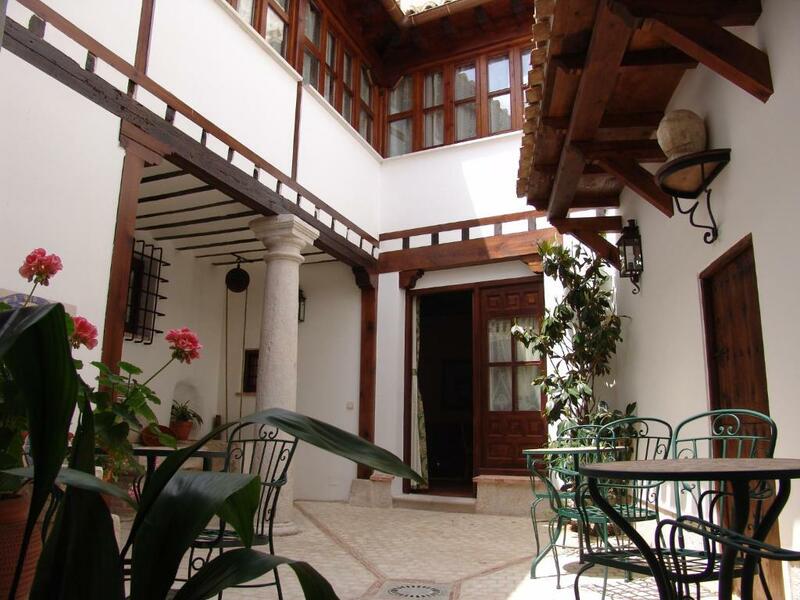 This property also has one of the top-rated locations in Chinchón! Guests are happier about it compared to other properties in the area. 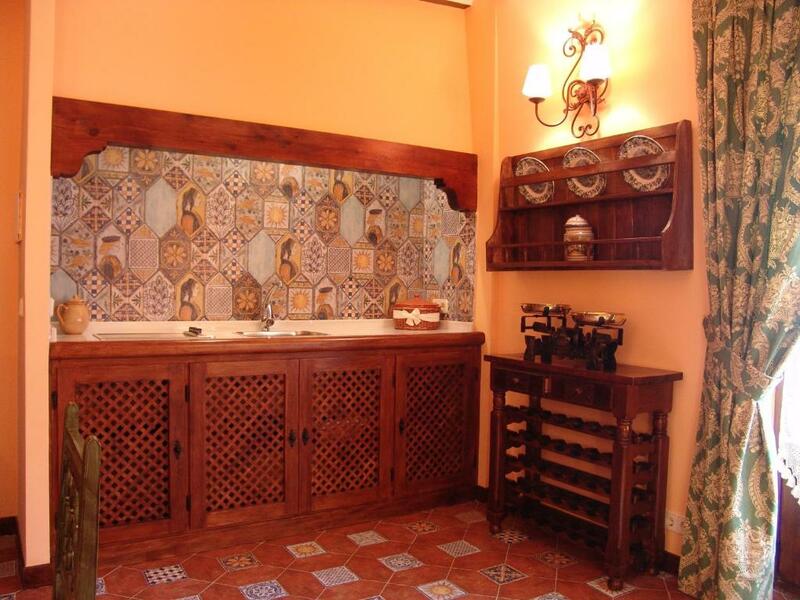 When would you like to stay at Apartamentos La Columna? This apartment has a microwave, private entrance and kitchenette. 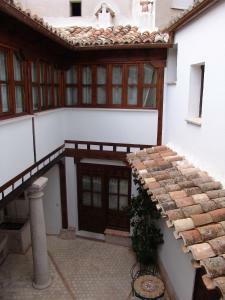 Los Apartamentos Turísticos “La Columna”, son el lugar ideal para permanecer durante unos días en nuestra emblemática villa. 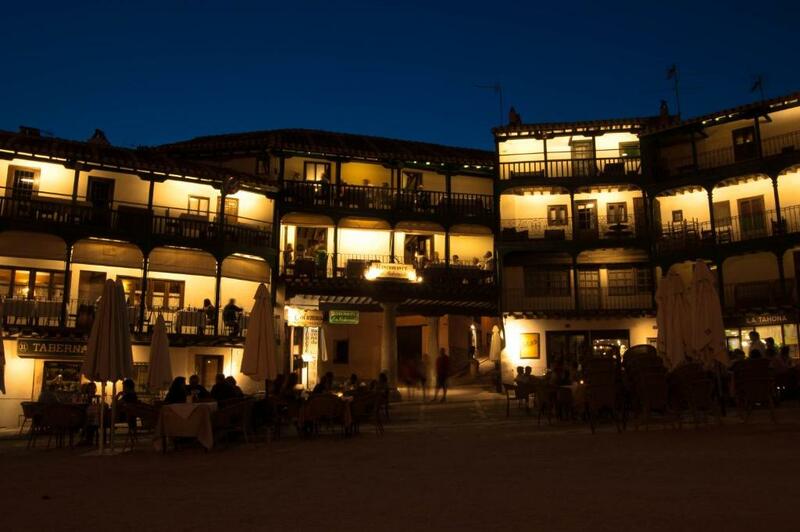 Por su situación, su confort y sus facilidades a la hora de completar su estancia con una buena comida en nuestro restaurante, cargado de historia y sobre todo de ilusión por ofrecer lo mejor a todo aquél que se precie. A la hora de describir nuestros apartamentos podemos empezar por la ubicación, un lugar privilegiado que los diferencian de muchos otros. Los apartamentos se encuentran emplazados a dos pasos de la principal zona de Chinchón, la Plaza Mayor. Debido a su situación estratégica, también nos permite estar rodeados de lugares de gran interés. 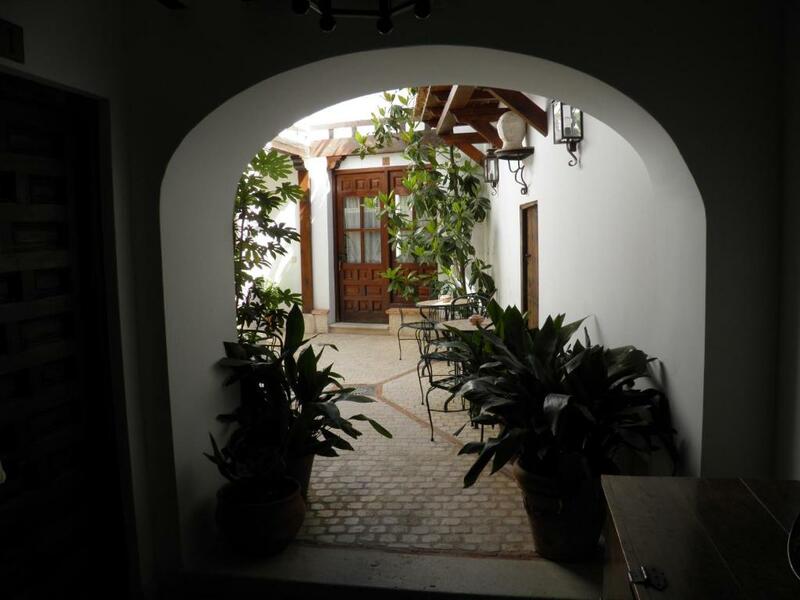 Una vez abierta la majestuosa puerta de entrada, nos encontramos con un precioso patio castellano que comunica a los cuatro apartamentos de los que disponemos. Dos de ellos se encontrarían en la planta baja, accediendo desde el patio y los otros dos en la primera planta, teniendo galerías y ventanas con vistas al patio. En general todo Chinchón. Con mucha riqueza de patrimonio. House Rules Apartamentos La Columna takes special requests – add in the next step! Apartamentos La Columna accepts these cards and reserves the right to temporarily hold an amount prior to arrival. Please note children of 3 years or older are considered adults and must be included in the maximum capacity of the apartments. Please inform Apartamentos La Columna of your expected arrival time in advance. You can use the Special Requests box when booking, or contact the property directly using the contact details in your confirmation. If you want the kitchen make sure to ask for it. Otherwise you might end up without one. Key pick up arrangement was bad!! Waited one hour and response. The host that greeted us was not very welcoming and spoilt things for me as I was looking forward to staying at the hotel. He was quite rude at telling us we had not paid even though we had and there was some confusion between the property and booking.com I was disappointed with his attitude. When he eventually showed us to the room it was not fully made up and the cleaning staff were still making their way through the rooms (this was after 6pm). The same host went on to have an argument with the lady cleaning the rooms which I feel was very unprofessional. However we spoke to another staff member by phone who sorted everything out with booking.com and was much more friendly and very apologetic...perhaps she should greet the guests and the other man should be hidden away! Couldn't park outside of the accommodation, narrow streets and restricted parking for a large people carrier..
We arrived in town 1 week before the corrida festival and the town centre was occupied by the arena structure. Parking can be a challenge in this town. We were lucky. Our hotel was to include breakfast but was unable to do so because the partnering restaurant was closed. We were refunded a portion of the cost.